Bordeaux is one of the most renowned wine regions in the world, yet not long ago it wasn’t a place you came to for wine tourism. The gates to Bordeaux’s majestic chateaux were firmly closed and the majority of the wine is sold En Primeur (a system of pre-selling the wine long before its ever even bottled that has been in practice since the 1600s). And you could forget about ever staying the night in one of these castle like châteaux. But times they are a-changin’, as we recently discovered with the Bernard Magrez Luxury Wine Experience at Château Pape Clement. Sight, sound, smell, taste and touch: our five senses work in unison to help us navigate the world around us. Two different dinner in the dark experiences, where you dine in a pitch black room and on a surprise menu if you choose, have taught us just how much we rely on our five senses. I’d never thought too much about that in relation to wine tasting…until our 5 Senses Luxury Wine Experience at Château Pape Clement. We’ve been on a lot of unique wine tasting tours. That is, unique in that the traditional tasting where you know exactly what you’re about to drink is combined with some adventure activity like kayaking to a wine tasting or hiking a multi-day hike through the vineyards along the Rhine. But our 5 Senses experience at Château Pape Clement was unique in a different way; it really made us stop and think about how our preconceived notions play a part in what we think of the wine. My favorite time to visit wine estates is when the grapes are ripening on the vine and our tour began with a walk through the Merlot vineyards. First planted in 1300, these vineyards are the oldest planted vineyards in the Bordeaux region. And it was Bertrand de Goth, better known as Pope Clement V, who planted red wine grapes here when he served as the Archbishop of Bordeaux. Walking the ground of the estate, we notice strong religious symbolism everywhere and that is attributed to Pope Clement. He even lent his papal name to the vineyard before passing it on to his successor, Archbishop Cardinal Arnaud de Canteloup. The estate stayed in the possession of the archbishops of Bordeaux until the French Revolution in 1789, and though it changed hands many times before Bernard Magrez purchased it in 1985, many of the religious relics were preserved. Moving in to the cellar, the sights began to mix with the scents as the undeniably delicious scents of wine wafted from the barrels. Do you think you can identify foods just by their scent? Have you ever tried to identify something by its scent alone? We were presented with satchels and asked what we though the scents were. It’s a skill to be able to identify the individual scents in wine. For me, I always know the scent but few I am confident I can name. Coffee is always easy; chocolate is surprisingly not. And with that, it was time for our first tasting right there in the cellar. Bordeaux wine is a blend of predominately Merlot and Cabernet Sauvignon grapes. The blending doesn’t take place until after the fermentation has been completed, and in Bordeaux this is usually around February or March following the harvest. To understand the individual components that go in to a Bordeaux, we tasted Merlot and Cabernet Sauvignon barrel samples and discussed the differences. The black fruits and jammy qualities comes from the Cabernet Sauvignon; the red fruits and leather flavors come from the Merlot. Moving in to the gorgeous 13th century château, we sat down to my favorite part of the wine tasting experience. A set of black wine glasses were set next to wine bottles fitted with black sleeves to disguise what was in them. It was the first time I’ve ever done a blind tasting where I couldn’t even see the wine I was about to drink. And believe me, I tried by tilting the glass every which way. Sitting in a Bordeaux château, I suppose you just assume you’re going to drink red. 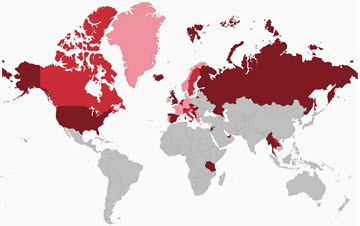 This is a predominately red wine producing region, after all. I’m going to leave you in suspense of which color of wine was actually in the glasses. I will say that in hindsight Bordeaux wine bottles have a distinct shape, and I should have immediately known from that alone that it wasn’t a Bordeaux wine. You’ll just have to take the tour yourself to experience how your mind can play tricks on you when you assume you’ll be drinking a red wine. Perhaps the most interesting experiment, though, was how the sounds around us influence our opinion of wine. In another room of the château, we sat down to three glasses of wine. This time, they were clearly all red wines. We were asked to close our eyes and listen to a soundtrack. With each soundtrack, we also tasted a wine and were asked to write down what we thought of the wine. We listened to the sounds of the countryside with birds chirping, an urban city with cars honking and the beach with waves crashing. Again, I won’t give away the secrets of this 5 Senses Tour, but I will say that the sounds definitely affected my thoughts on each of the wines. This study published in the British Journal of Psychology states that the emotional connotations of music alter your perception of the taste of the wine and I couldn’t believe how much the different soundtracks affected what I thought of the wine. You can wake-up in the midst of the Grand Cru Classé vineyards in one of the five gorgeous guest rooms with en-suite bathrooms at Château Pape Clement. And you won’t be handed your key and simply sent off to room number three. Each of the five rooms is named after Bernard Magrez’s cuvées: Le Clos des Songes, Mon seul Rêve, LaTempérance, La Sérénité, and L’Égrégore. Mr. Magrez’s office is in Château Pape Clement and, if the 80 year old wine magnate isn’t traveling between his wine estates around the world, you very well may run in to him in the halls. He even leaves each guest a personal welcome note in your room. Breakfast is served in the same lovely room where we had our sound wine tasting and the resident peacocks know when it’s breakfast time. They’ll most definitely pay a visit and look for a few snacks. 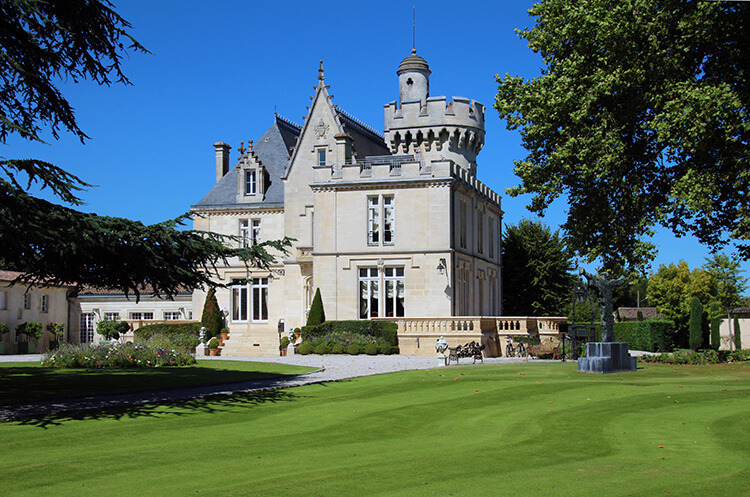 Château Pape Clement is just 20 minutes outside of Bordeaux and is easy to reach on public transportation using Bus Line 4 from Gambetta to the Le Monteil (Cité Le Corbusier) stop. It is then about a 10 minute walk for 700 meters to the château. Plan your journey. Château Pape Clement also offers a transfer in their Rolls Royce, which can be arranged separately or as part of a package getaway through Luxury Wine Experience. The Château Pape Clement 5 Senses Tour is €49 per person and should be booked in advance on Luxury Wine Experience or on Rue des Vignerons. 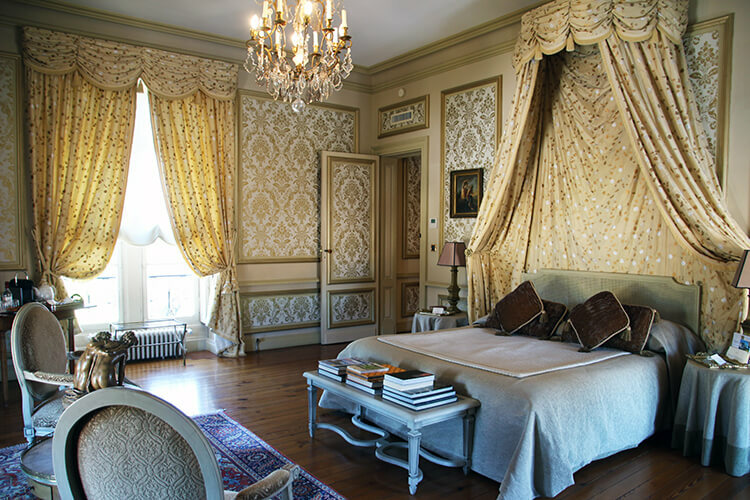 Your stay at Château Pape Clement can be booked through Luxury Wine Experience as part of a wine getaway or individually just as a stay. You can also book on our Booking.com partner site. If you also have purchased a Bordeaux Metropole City Pass, you receive a complimentary bottle of wine for each booked and paid for visit or workshop at Château Pape Clement. Our visit was provided by Luxury Wine Experience in order to bring you this story. However, Luxe Adventure Traveler maintains full editorial control of the content published on this site. As always, all thoughts, opinions, and enthusiasm for travel are entirely our own. This article contains affiliate links. When you book on Rue des Vignerons, Booking.com or Viator through our affiliate sites, we earn a small commission at no additional cost to you. Whoa an entire experience around drinking wine and activities? Sign us up! We’ve always wanted to try dining in the dark, that’s really cool that they have that as well! I think hiking through the vineyards would be an incredible experience as well! This sounds like every adults dream! 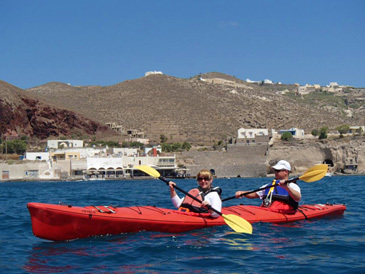 What a great find and thanks for sharing, we will have to add this to our MUST DO travel list! Bordeaux is quite flat, but a nice experience is biking through the vineyards. You can do that in Saint-Émilion as there are some lovely little dirt roads that run right through the vineyards and are perfect for biking. What an amazing experience! And the history of that vineyard is very fascinating. What an elegant wine cellar indeed! Would love to experience this too! Yes, that it is tied to a Pope and when the papacy moved to France is quite interesting! Thankfully the vineyard survived through wars to still have it here today. What an experience. I love wine and this is definitely something I would be keen on doing when traveling. We toured the South of France last year and visited a couple of vineyards as well! It was lush! Bordeaux is even better. It sounds like you would love it! All senses satisfied! A wonderful place satisfying in every sense! I am curious about tasting wine listening to different sounds. It was really interesting how the sounds influenced the wine. I never would have thought that! Your 5 Senses experience at Chateau Pape Clement sounds absolutely wonderful – I love that you can combine a wine tasting with a stay in such a beautiful property. I\’ve always dremed about spending overnight in a vineyard – I think I\’ll have to head to Bordeaux! Bordeaux is the place to do it then! These chateaux looks like mini castles. Oh wow this does look extremely elegant. I always love wineries and experiences similar but have yet to experience such a unique place. Thanks for the inspiration! Tasting by isolating the five senses individually is definitely a unique spin on the traditional tour and tasting. Ohhh now this is my sort of place, I love wineries! We have many where I’m from in New Zealand so will have to check this one out when I get the chance! Lucky you, Anita! I’d like to come to New Zealand on a wine trip. And Chateau Pape Clement has a shop where you can buy wine directly from the chateau. That’s actually not too common in Bordeaux, since most of the wine is pre-sold. It’s definitely time to come back and experience Bordeaux again then, Monika! It’s cool that Bordeaux was opened up for wine touring. It’s a beautiful area and being able to experience it like this first hand would be so incredible. Hopefully my wife and I can add this wine tour with the other beautiful wine tours that we have been on. I do hope you make it to Bordeaux, Jorge. I’m probably biased since I call Bordeaux home, but there’s just no where else like it. I need to make sure I do this when I go to France next year! Thank you for sharing! It’s definitely the most unique wine tasting experience I’ve had yet in Bordeaux! I am completely fascinated with the sounds and wine aspect. Have you experimented with this futher after returning from this wonderful experience? I do think that sounds and environment have an impact. I know that there are very few wines that I just don’t like when I try them at wineries. But then you open a bottle in another setting and sometimes wonder why you just had to buy that bottle. I never thought about how the environment of the winery can have that impact until I did this Five Senses tour. 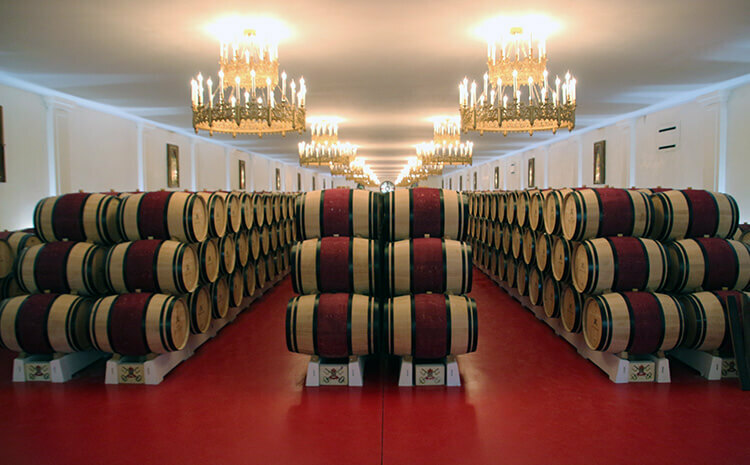 I’m definitely putting Chateau Pape Clement on my bucket list! I plan to visit the area next spring, so hopefully I’ll have a chance to stay there soon! Thanks for the nice write-up. Terrific to hear you’ll be visiting Bordeaux in the spring, Pamela! I live here, so have lots of other great Bordeaux tips. Don’t hesitate to ask if you need any help planning your visit. We haven’t been to Bordeaux yet but your article captures so many things we love about wine country–can’t wait to get there soon! Oh, you must visit then! Wow, what a great tasting experience. And the information about the Chateau was really interesting. I’m glad Bordeaux is now embracing wine tourism. The region has been on my radar for years. Now, I can’t wait to go. It’s really great that the younger generations that are now getting involved in the family wine businesses recognize the importance in just getting their brand known. Amazing. This is a weekend trip I could easily get behind. Love that you delved into the region’s history and backstory. It’s easy to do when you live in Bordeaux! I eat up everything about this beautiful place I call home. Wow what an unbelievable experience! My wine travel bucket list continues to grow! Fantastic – France has been on my world of wine list forever. I am hoping to get there in 2017, while I am living in Portugal. You’re just an inexpensive flight away, so you’ve definitely got to visit! Wow. I’d love to drink and stay there. Wow, wow wow. Love the blue Riedel glasses! Very cool about the religious relics and objects being included into the tasting experience. How COOL! The chateau definitely has some wow factor and isn’t a bad place at all to wake up at! Well, this would be a dream experience for me! Someday I’ll make it to France for a wine tasting adventure! I love all the ways you got to experience the wine with the senses and comparing two varietals to a blind tasting. You’ve got to come to France one of these days, Jenna! I think you’ll find it entirely different than California in many ways, but you’d really enjoy the experience. Even the different wine regions within France are so different from one another. Wow! Fantastically written post. Really enjoyed digesting this via the breakdown by senses. It felt like I was there in France. Also love the shot of the Merlot on the vine. Wow, wow wow. Love the blue Riedel glasses! Very cool about the religious relics and objects being included into the tasting experience.